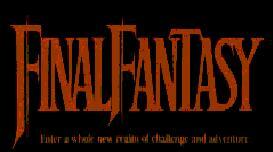 Ah, the original Final Fantasy...a great game. Here's a walkthrough, and a few screen shots of the game. Click on them for a bigger picture.